Salix integra 'Hakuro Nishiki' (Salix integra 'Hakuro Nishiki'): growing, planting, caring. 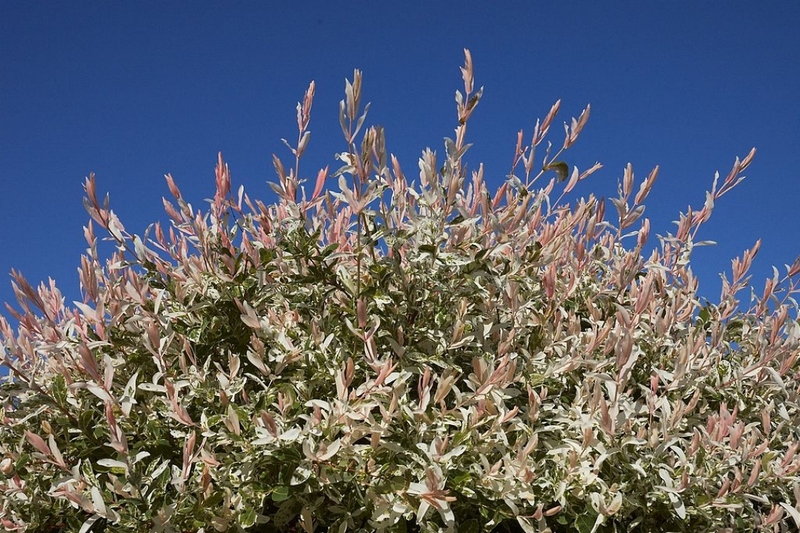 Full description for Salix integra 'Hakuro Nishiki' not yet available. 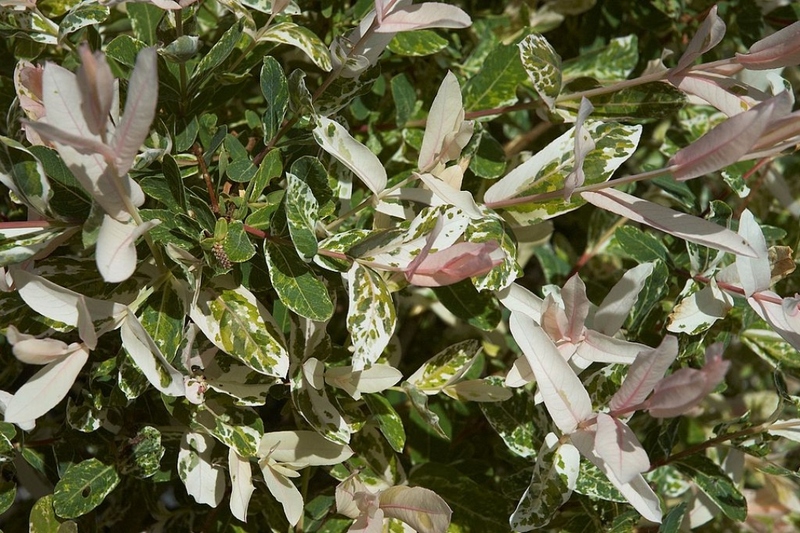 The flamingo willow is a small tree or a large shrub difficult to confuse, with its elongated leaves, first pink, then green marbled with white. It is generally between 1 and 5 m, and has a rounded, dense habit. The willows are trees or dioecious shrubs with simple leaves, alternate, toothed. Some have weeping habit. Regularly trim your flamingo willow if you want to keep it compact, and prevent it from forming long entangled branches. The best time is the end of winter, before the buds swell. Shorten all branches by a third. To keep your tree healthy in the long run, remove the dead branches, and cut off those that cross each other.